SureCall | iPhone 5 Features, Apps and Accessories Ranked! 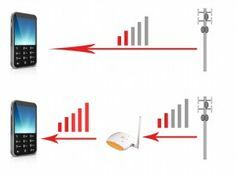 This antenna is best for: 3G and 4G users who do not have line of sight to the cell tower or don’t want to worry about aiming an antenna; mobile users who need an omni antenna that covers 3G and 4G. Cable: NO cable is included with this antenna. Various lengths are available. Weather proof? Yes, this antenna is designed for exterior use. 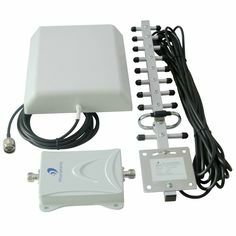 Mounting Requirements: The Full-Band Omni Antenna includes a mounting bracket and hardware for mounting to a wall. Portability: This antenna is not portable – it is designed to be mounted in a fixed location. With the newly introduced AGC (Automatic Gain Control) present in all FCC certified consumer boosters, outside signal can now be considered “too good,” causing the amplifier to shut down. Amplifiers work best with an outside signal between -90dB and -65dB, but if the outside signal is better than -65dB, one can use one or more RF Attenuators to reduce the amount of decibels entering the booster and prevent a possible AGC overload. 5db, 10db, and 20db attenuators are available, and one can group these attenuators together to attenuate as many decibels as is necessary. The attenuator has N/Female and N/Male connectors and connects directly to the “outside antenna” side of the amplifier. 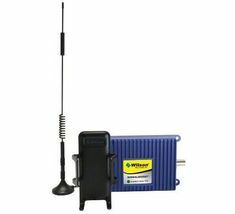 Force5™ | 3G – 4G Five-Band Adjustable Cell Phone Booster Kits are designed primely for Large Buildings up to 25,000 sq ft.